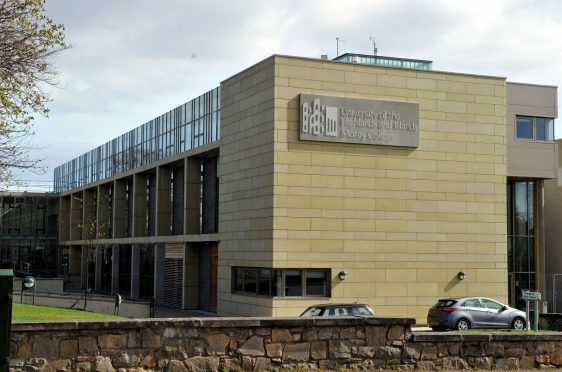 Moray College UHI in Elgin. Youngsters from 12 primary schools headed to Moray College UHI this week for Transport Scotland’s engagement programme. It was launched last year, in advance of work to dual 28 miles of the A96 between Hardmuir and Fochabers – which is part of a wider scheme to improve the road between Inverness and Aberdeen. In the intervening period, nearly 100 primary and secondary school teachers have received training from specialist engineers, allowing them to pass the knowledge on to the youngsters in their care. Many of them have also completed class projects based around various aspects of engineering. And, on Thursday, 90 youngsters gathered to show off their work, which was judged by representatives from Transport Scotland and design consultancy Mott MacDonald Sweco (MMS). Transport Secretary Michael Matheson said: “As well as upgrading the A96 between Inverness and Aberdeen to dual the carriageway, this government recognises the importance of benefitting the communities who live along the route as we design and build the new road. “Our schools engagement on our major road projects, including the A96 dualling programme, is leaving a legacy for the future, training teachers to deliver a programme for pupils in local schools which helps them develop an interest in engineering. “This is the second year of engagement with schools situated along the Hardmuir to Fochabers stretch of the A96. Chris Rochester, a representative from Primary Engineer, the not-for-profit organisation which helped conduct the teacher training, said: “The support provided by Transport Scotland and MMS allowed us to bring Primary Engineer programmes to schools in Moray to inspire pupils and teachers with engineering.